Iran’s nuclear chief says the country could reach 190,000 SWUs (Separative Work Unit) of uranium enrichment capacity within 10 months at the Natanz nuclear site, where he inaugurated a facility for producing centrifuges. 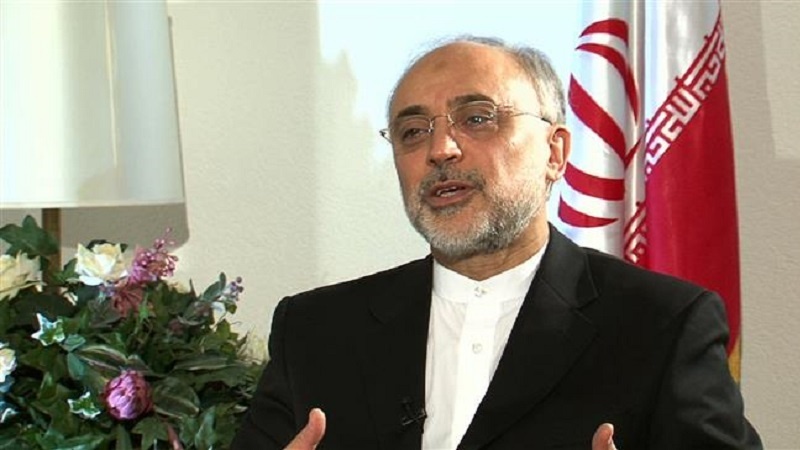 According to Press TV, Ali Akbar Salehi, who heads the Atomic Energy Organization of Iran (AEOI), made the remarks on state television on Wednesday night following the inauguration of the montage center at the Natanz plant in central Iran. “We had designated Natanz for producing one million SUWs, and have provided the required infrastructure,” he said. SWUs are a measure unit of uranium enrichment capacity. “Within 10 months, with the launch of a set of newly-built enclosures, we could produce 190,000 SWUs at Natanz,” said Salehi, adding, however, that “this does not mean we start the production of advanced centrifuges for industrial use at this facility,” he added. The comments followed the AEOI’s letter to the International Atomic Energy Agency (IAEA), informing the UN nuclear watchdog, which monitors the technical aspect of the JCPOA’s implementation, of the start of certain nuclear activities at Natanz. The AEOI is acting on an order by Leader of the Islamic Revolution Ayatollah Seyyed Ali Khamenei, who urged on Monday preparations for a potential collapse of the Iran deal following the US’s withdrawal. The Leader ordered the AEOI to get prepared for a rise to 190,000 SWUs within the framework of the deal. Elsewhere in his remarks, Salehi said that Iran would montage new centrifuges for research and development purposes at the Natanz plant within the framework of the JCPOA. He also said Iran was in “pursuit of nuclear weapons,” a claim that contradicts numerous IAEA reports confirming the peaceful nature of Iran’s nuclear work and the country’s full compliance with the accord.